Country music has some pretty attractive male singers and if you're looking for the perfect one for you, we have a nice list of bachelors compiled right here! It’s about to get hot in here and no, we are not talking about what’s going on with the weather. 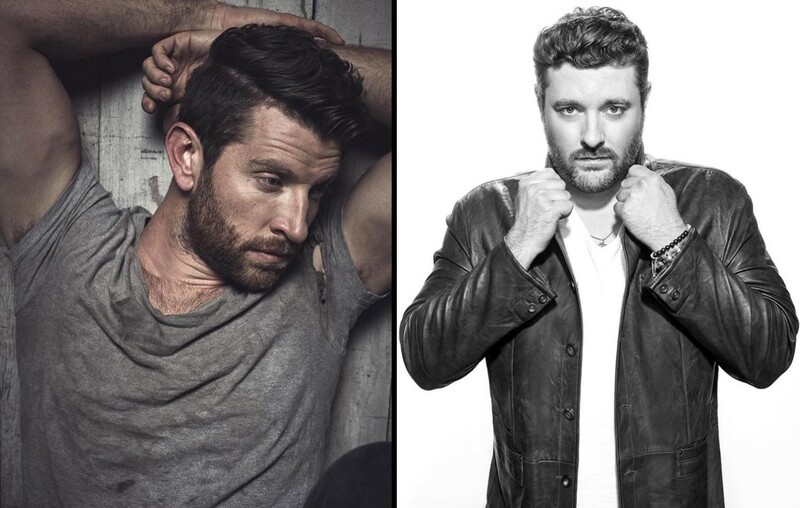 The country music scene is full of attractive people, so let’s check out some of the genre’s most eligible bachelors! From the Wild West, as in sunny California, the “Heartache On The Dance Floor” singer makes our list! With his charming all-American looks it’s hard not to swoon at a first glance at Jon. When you get to know the person wearing the cowboy hat, your heart will ache! Jon’s a momma’s boy and also volunteers with the children at St. Luke’s! Good looks and a good personality- the perfect guy to bring home to meet the family! Visited @stjude today and spent some time with some amazing kids and parents. Great meeting you, Tyler and Alexander! Happy Mother’s Day! To the best mom who loves bulldogs! In addition to his good looks, Chris has a wide range of interests.This Tennessee native loves reading Harry Potter and will spend the football season rooting for the Texas Longhorns! And did we mention he has a super cute German Shepherd puppy named Porter!? Look!!! It’s me!! !… and Chris… but mainly me!!! If you’re looking for a small town boy, look no further than country music’s very own Dustin Lynch! This cutie with a to-die-for smile is a Tennessee native and is a country boy through and through. If Dustin could shop anywhere he’d be hitting up the nearest Bass Pro Shop- maybe even thinking about taking his dream vacation to Australia! If you’re in the market for a sweet guy to go on adventures with— he is right here! He even likes to spend his free time riding on backroads and listening to music in the peace and quiet of a field- how about that for a romantic date? In this video clip from a few months ago he said he’s still looking for a girl… that could be YOU! Brett is a 32-year-old Paris native… Paris, Illinois that is! While this country bachelor has made it big in Nashville, he still remembers and celebrates where he comes from! Brett is a huge Chicago Cubs fan and his pup is named Edgar, which is the county Paris is located in. As far as his music is concerned, his album is named Illinois. So while you might be chasing a big country star, this one is very grounded and will be sure to score some points with the parents! Another quality of this handsome country man is his clean and dapper ways- inspired than none other than Frank Sinatra! Classic hometown boy with a good sense of style and charisma? Brett is for sure your guy! If you’re picturing saying your vows with Cole just beware… you might not be saying ‘Cole Swindell’ in your vows. His birth name is actually Colden Rainey Swindell! Regardless of what his name is, this guy is the real deal! He began his career in the country industry as Luke Bryan’s merch guy and then eventually found himself as an opener! Thank goodness Cole got there or fans would be without hits such as “You Should Be Here,” “Ain’t Worth The Whiskey,” and “Break Up In The End.” Good luck to whomever snags this hottie with a bright smile! Many ladies out there think that they have been romanced by Kip, however, he set the record straight by saying that people like to use his picture and name to ‘catfish’ girls! “Guys….don’t fall for dumb s—…. I only have 1 account. It has a blue check,” Kip commented about the whole ordeal. So yes, this country star is still single! Judging by songs such as “I’m To Blame” and “Hey Pretty Girl,” Kip is looking for a little lady who can roll with the punches and isn’t afraid of an adventure! Rumor has it that Kenny’s ideal woman loves the ocean and is both smart and funny. But number one on his list is finding a lady that is understanding of his hectic schedule and sees him as the man he his— not just the country music star. Share these country music bachelors with other fans!